Australia has some amazing marsupials and one of the cutest is the Bilby. I have never seen one in the wild, probably because they are nocturnal and tend to live in the desert! One brilliant fact I discovered is that their pouch opens backwards so as not to be filled with dirt when they are digging their burrows! How cool is that! There has been a push over the last decade or so in Oz to focus on the Bilby as an Easter icon rather than the Bunny. 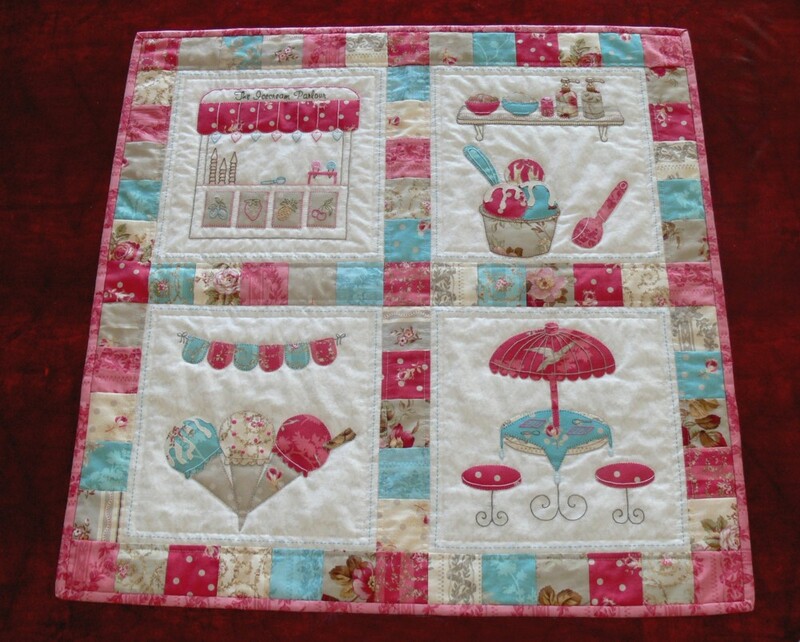 The pattern is in Patchwork & Stitching Magazine Vol 17 No 11. 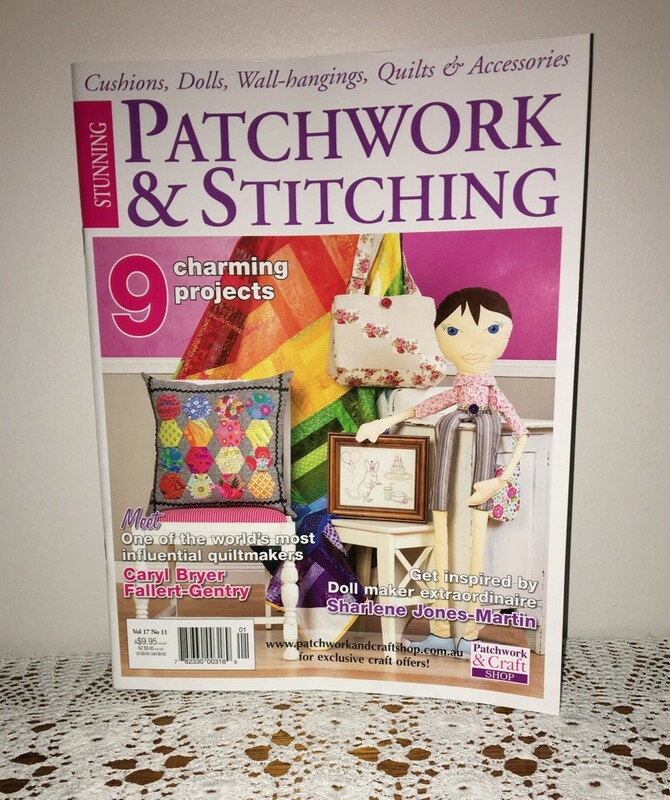 Sadly, Patchwork & Stitching Magazine will be closing down at the end of the year. 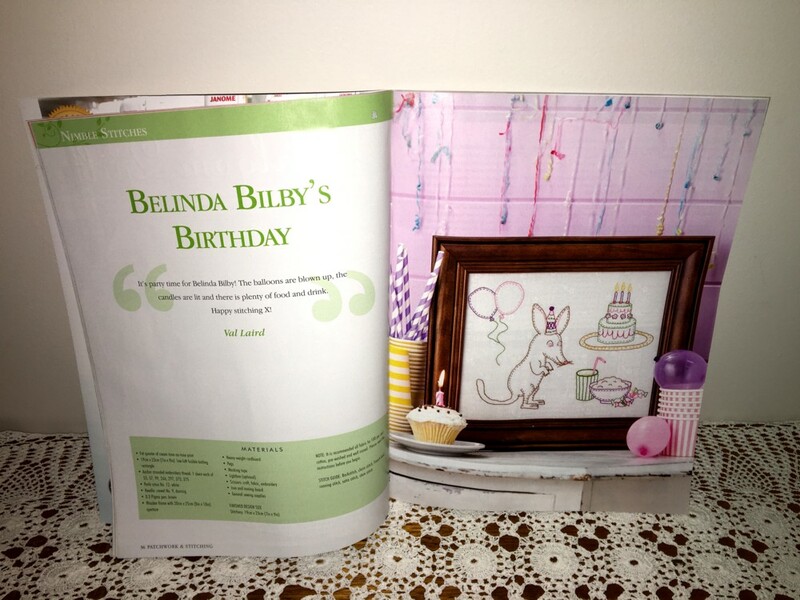 Also the wonderful Country Threads Magazine will be coming to an end too. I guess it was inevitable with the availability of so much on the internet, but browsing the internet instead of lying in bed with a magazine in my hand enjoying a good read, just doesn't cut it for me. Of course that limits the outlet for my work too, so I'm feeling a bit dejected at the moment. I was designing for seven magazines - four of them have met their demise, so there's only three left! Maybe I will have to do a search for international craft magazines that might take Australian Designers' projects ... or take up gardening ... or do lots more housework! 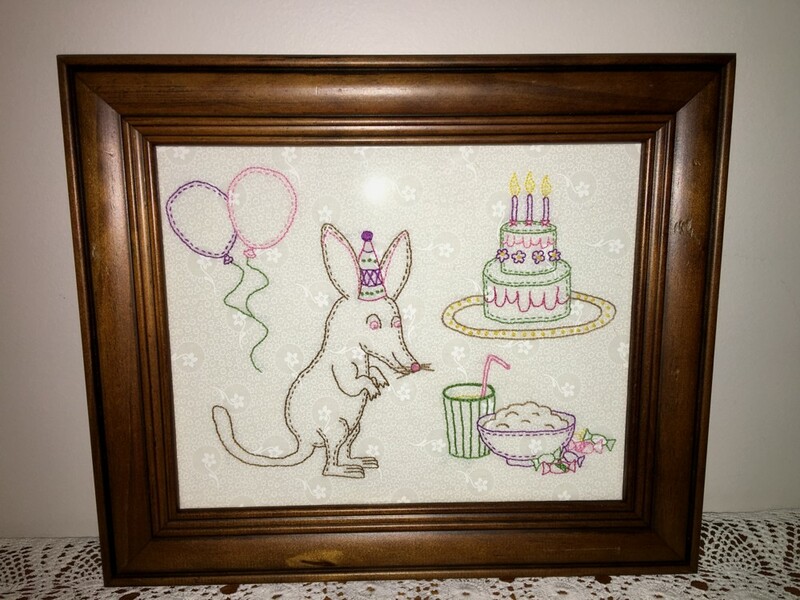 You can find it in my Craftsy Store here. 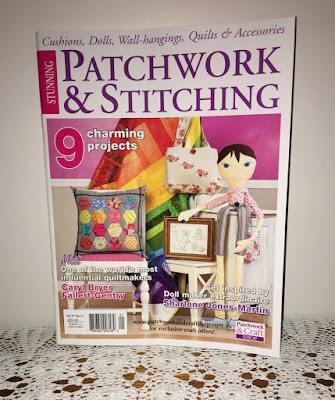 recently found your blog and upset to read about Country Thread magazines I live in the UK and think this is the best of all the quilty magazines. I saw your cute Bilby pattern in P & S when I bought it last week - on my must do list! 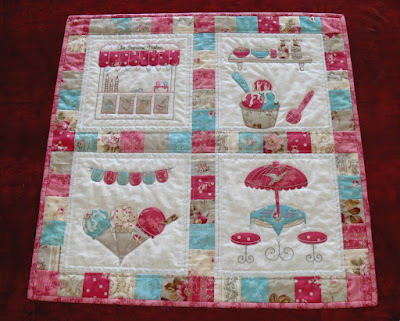 I am shocked to hear about P & S and Country Threads going out of print this year - I had no idea. They are my two favourite stitching mags, and although I've managed to collect probably about two thirds of the entire series, I do wish I'd subscribed to them years ago because I know I've missed several good issues over the years, when I haven't been quick enough to pick them up at our newsagency. What a cute design. Well done to your grandson, Val. 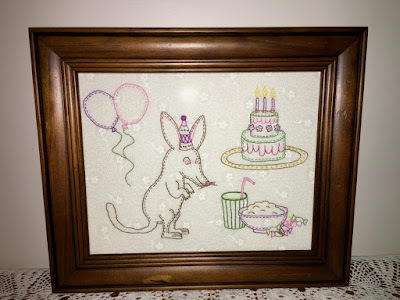 That is such a lovely idea having him design a stitchery for you.